In public gatherings in North Korea, whenever one claps, they're not only clapping for the DPRK - they are also applauding Kim Jong-un (or perhaps his father, Kim Jong-il and/or grandfather, Kim Il-sung). These events are, of course, highly choreographed. 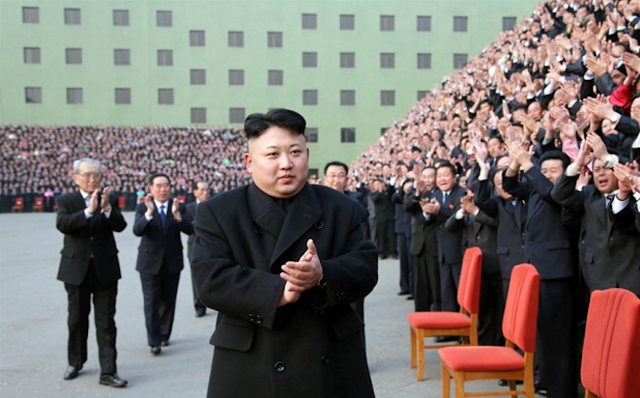 From a nonverbal perspective, there is, relatively speaking, a direct correlation between the height of one's hands while clapping - and the level of enthusiasm shown. This is nonverbal signal is observed cross-culturally and is nearly Universal. Yet these images also show an additional layer of meaning - that of the relative alpha-beta status within hierarchical organizations/societies. The masses, who are all lower in the pecking-order, must hold their hands higher as a signal of respect, lest they suffer the consequences - while those individuals who are increasingly alpha are "allowed" to hold their hands lower. 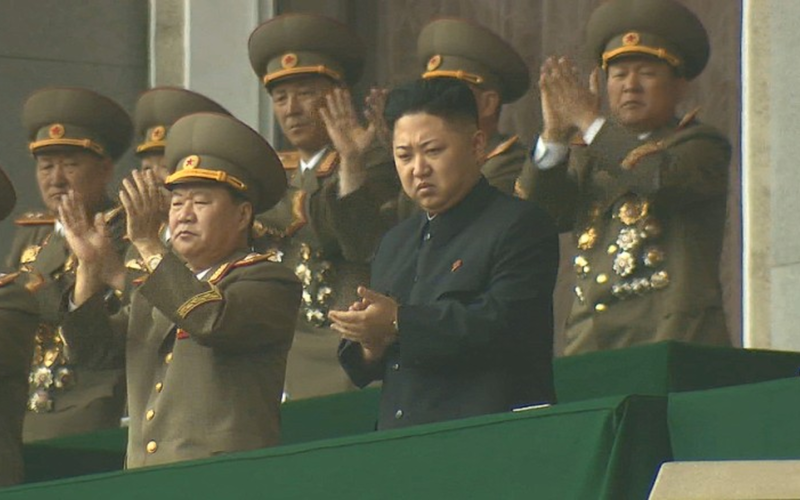 In December of 2013, Kim Jong-un had his uncle, Jang Song-thaek, executed because he "clapped half-heartedly". Nonverbal Communication Analysis No. 1010: Rashida Jones - What Makes the Twinkle in Her Eye?